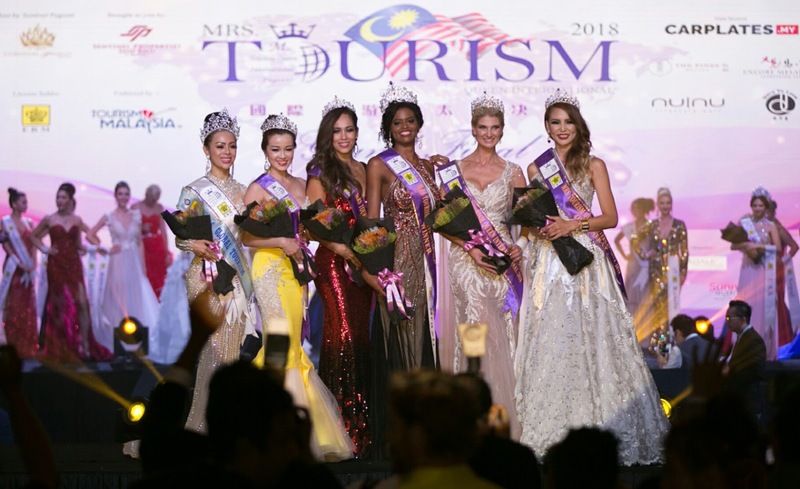 For the first time, in the historical milestone of beauty pageant, Malaysia will host the first ever Mrs Tourism Queen International Pageant right here in the very heart of Malaysia, Kuala Lumpur today. This inaugural auspicious Grand Final event takes place in the Grand Ballroom of Shangri-La Hotel Kuala Lumpur. The pageant witnesses 28 beauty queens from the world over, which include countries from Europe, Asia, America, Africa and Oceania competing against one another for the coveted Mrs Tourism Queen International 2018 crown. “Beauty pageants have proven to help boost the tourism industry around the world. We at Sentinel Pageant is proud to be given this opportunity and organise this first ever edition of Mrs Tourism Queen International Pageant,” says Jenet Foo, Founder and Director of Sentinel Pageant. “We like to take this opportunity to thank all our partners and sponsors and participants for their support,” she adds. Sentinel Pageant is an organisation set up by Jenet Foo and has been a strong and caring advocate of community events where beauty illuminates in their services. The company has to date participated in Charity Fundraising Dinner, Deepavali Project, Mid-Autumn Festival Charity Luncheon, Christmas Western Dinner, Movie Outing and many other caring activities for the elderly and orphans. Sentinel Pageant has successfully organised Mrs Tourism Queen Malaysia 2017 and since then, it has garnered lots of support and acknowledgement to manage this pageant. This time it is even bigger and better where it involves international participants at Mrs Tourism Queen International 2017. For months, the participants have gone through rigorous training, strict discipline, styling and grooming to ensure they are all ready for the Grand Final showdown today. They also attended Encore Melaka and learned about creative tourism showcase using emotive storytelling, vivid stage settings, music and choreography. According to the participants, the organiser has done a tremendous job by ensuring all their logistics, food and accommodation are not just only well-taken care of, but also they have gone the extra mile to make it world-class service. Malaysia Truly Asia spirit is encapsulated in the pageant as Sentinel keeps the warm hospitality of Malaysians to attend to the needs of the participants. Mrs Tourism Queen International Pageant aims at boosting the tourism sector, enhancing it with friendship and goodwill among the different countries and foster greater international culture exchange.